The Tenable competition is the viewer comp for Tenable, one of ITV’s newer gameshows that launched in 2016 and has proved extremely popular. 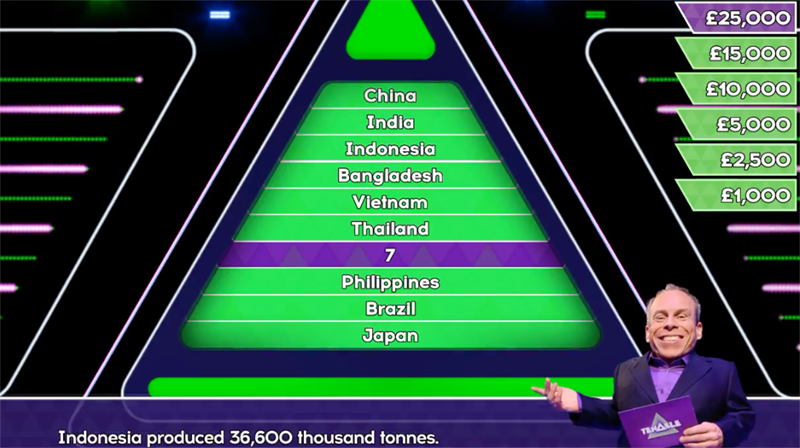 The gameshow itself is based around lists of “10”, has a grand prize of £125,000 and is aired midweek daytime. You can find the viewer competitions for cash prizes below alongside other live TV comps. If no competition is listed above then there are currently no Tenable competitions live that are open for entry. You can view old comps in the “expired comps” section. Similar to most STV and itv.com competitions, the Tenable competition allows you to enter more than once. However bear in mind that entry is via premium rate number or paid online at itv.com or stv.tv and be careful not to spend too much. The is also a postal entry method that will save you around a pound per entry if you use a second class stamp. The contestant prize is valued at £125,000, however the prize for the viewer comp is not to be sniffed at. It’s usually a hefty sum in itself with a tax-free lump sum of £40,000 recently being offered. Competitions with larger prizes tend to span multiple weeks whilst smaller comps might only last one week. So for those of you who haven’t seen it, what is the Tenable game show? It’s a daytime game show that kicked off in 2016 on ITV and is hosted by Warwick Davis that revolves around lists of 10 things. A team of 5 players see if they can complete various lists of ten items to bank big money. There are of course many quirks as the team progresses such as banking smaller sums of cash and “buying” a team mate back. Above is an example of one of the list questions on Tenable. This question was around the biggest producers of rice in the world. Tenable is a great game show, highly addictive and well worth watching. If you miss it, pop on over here where we’ll keep you up to date with the latest Tenable comps and other television chances to win.